Thank you so much to everyone who helped make The Fruit Exchange 2015 such a wonderful success. 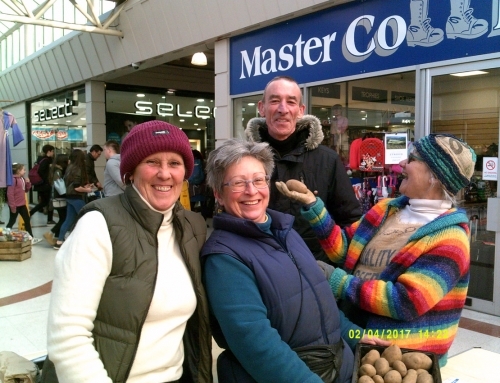 We are so proud of seeing how well it went, how much waste we prevented and all that gorgeous local, home-grown, fresh fruit being used up! 1. Getting food outlets to participate. Key to the success of the project was getting local food outlets to participate. This proved time consuming and difficult. There were some lovely businesses who were overwhelmingly positive, appreciative and encouraging and we are so grateful for their participation. However, for the great majority of the businesses we contacted just getting to speak to the person in charge of food preparation was hard. This is normally the chef, who is based in the kitchen and often too busy to answer the phone. The chef then often needed to confirm the exchange with their manager before they could confirm it with us. They would not call us back and emailing was not fruitful in most cases. This meant a lot of calling round and having to call back at certain times on certain days. We found that once we had one person from the business on board we were able to get answers from them much quicker. Some businesses were sceptical, they thought it would be too disrupting, too much work or take too much of their time. Some used little fruit (a few desserts), some pubs don’t serve food at all, some stuck to a set menu, some ordered everything in pre-made. Our best results were from local cafes, restaurants and pubs which changed their menu daily, or had daily specials, made everything fresh, were interested in using local produce or just liked the project. Out of 84 businesses contacted only 12 said yes to taking part. We were aware that some people were not physically able to pick the fruit themselves. We put calls out for volunteers on our social media and website. Many of the press articles included mention of this. We also contacted many local volunteer organisations, but received no help from any. We did have a few people contact us independently who we could not have managed without and would like to send extra thanks out to them. Juliet Jessop and Amy Godfrey, you were wonderful! Thanks also to Amanda, Bryan, Alex and Laci from Down to Earth who also gave up some of their own time for free to pick fruit and deliver it. All the volunteers had full-time jobs but gave their time for free, and we thank them immensely for that. 3. Donors not wanting to pick the fruit themselves and/or take it to the business. 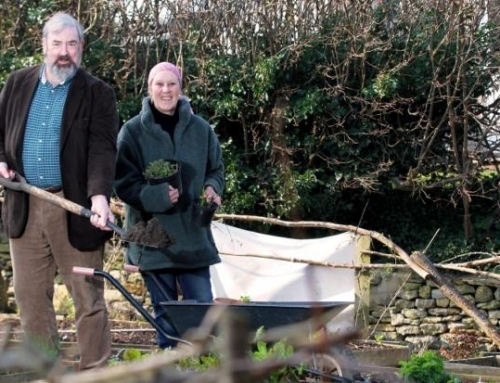 Some people who had fruit growing in their gardens thought that we were going to do all of the work for them. Unfortunately the fruit would have gone to waste if someone else hadn’t picked it for them. To begin with we offered the donors the vouchers but then decided it was extra work to have to take the voucher back to them and that the volunteer should get the voucher instead. This was not always the case and ended up being decided as follows: 1. If the donor physically cannot do the exchange themselves we should offer to bring them back the voucher. 2. If they are capable but don’t want to, the volunteer should get the voucher. We were aware that this might not please everyone and could lead to problems but we need to be fair to everyone. We requested feedback from the businesses who took part, to find out their thoughts on the project and our plans for 2016. So far the responses have been very positive and all who have responded are keen to take part again in 2016. Thank you so much to every single person who helped make this project such a success in 2015. 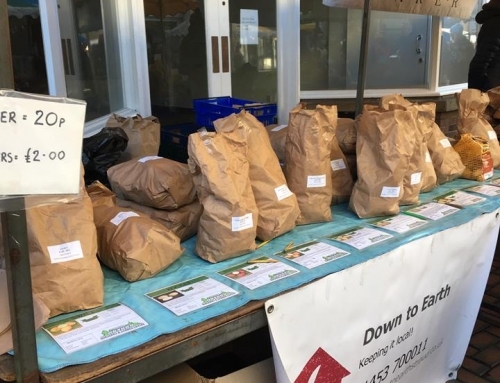 The Fruit Exchange relies on people caring about food not going to waste and wanting to do something about it. Without the donors and volunteers who took the time to pick their fruit and take it somewhere, and the businesses who were willing to use it, we wouldn’t have a project in the first place. We’d like to especially thank all those who helped to publicise the project and spread the word. Whether you shared a Facebook post, retweeted a tweet, put up a poster or just told a neighbour about it, we couldn’t have done it without you! 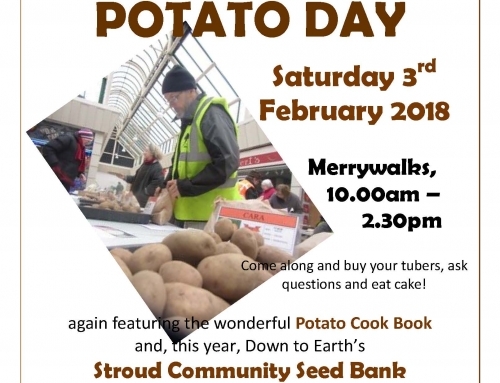 Thanks also to BBC Radio Gloucestershire for their interview with Amanda, The Stroud News and Journal, Stroud Life, The Gloucester Citizen and The Gloucestershire Echo for their articles and to Stroud District Council for their support and article in their Keynotes. Beard and Sabre Cider Company who also took a few tonnes of apples! We will be starting to make plans shortly for how the Fruit Exchange will be run for 2016. 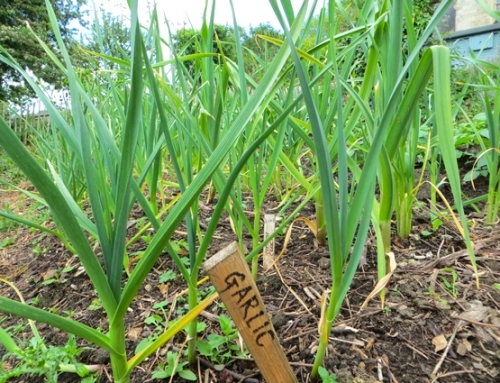 We would love to be able to expand the project to the whole of Gloucestershire and to include other produce such as vegetables and nuts. We are applying for grants and looking for other funding possibilities to pay for the cost of running and promoting the project. We hope to start earlier, get more businesses on board and more people exchanging their produce. We would love to hear from you if you have any suggestions, would like to help or would like to take part. 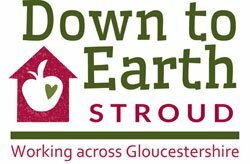 Please email fruitexchange@downtoearthstroud.co.uk or call 07948 077843.